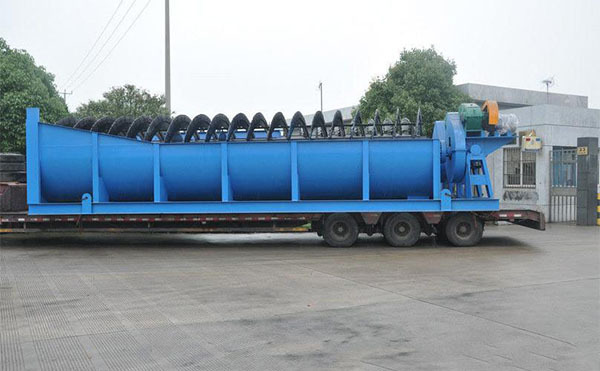 With the shortage and non-renewable of mining resources, LZZG launched DS series new sand washing equipment. 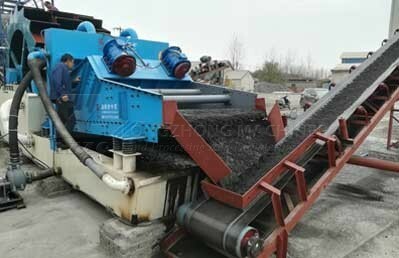 This new sand washing equipment is made up of three parts: spiral sand washing machine, wheel washing machine, and recycling machine, which inherits the advantages of the three above. 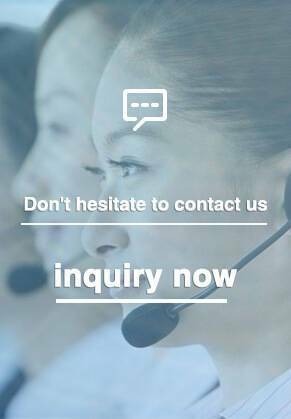 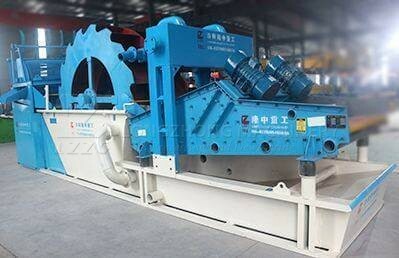 It is widely used for crushed sand, river sand, lake sand or sea sand washing, screening, recycling, and dewatering. 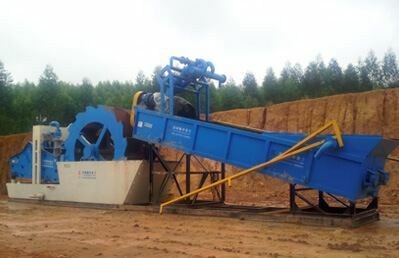 Sand becomes the qualified products by the screening machinery, then flow into spiral stirrer through a chute, the spiral sitter will clean, soak, break up sand ( especially direct at high mud content material), tailing waste water discharges into separating device to concentrate and grading. 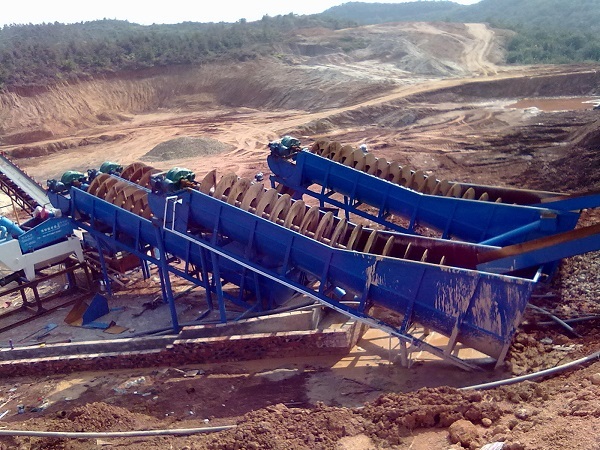 Tailing and coarse ore discharges into waterwheel to be cleaned and dehydrated at the same time, waste water discharges into secondary separating device to concentrate and grading, tailing and coarse ore discharges into dehydration and desliming device at the same time again. 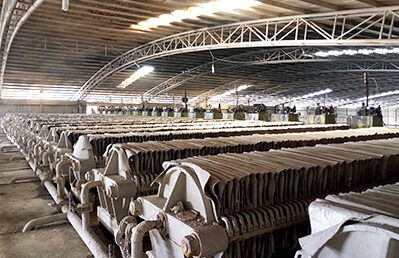 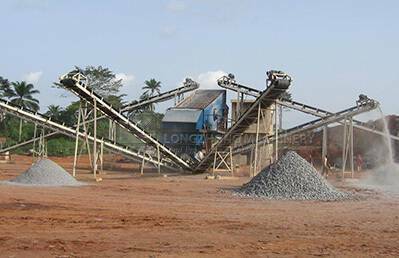 Then the finished product which is fully dehydrated by high frequency vibrating motor will be transported into material pile by belt conveyor and for sale.